Manchester United manager Jose Mourinho has blamed referee Mark Clattenburg for his side’s 1-2 loss in yesterday’s Manchester derby on home ground at Old Trafford. 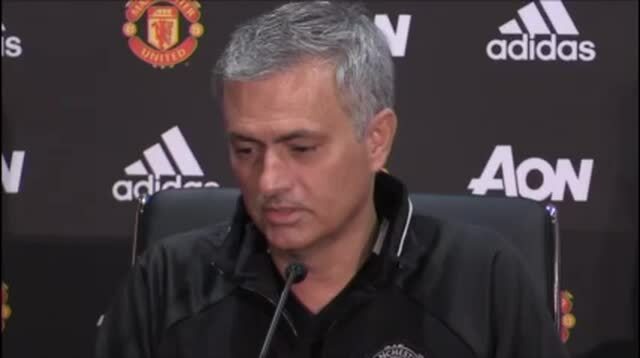 According to Mourinho, Clattenburg “made two big mistakes” in the game Super Eagles forward, Kelechi Iheanacho who stood in for suspended Sergio Aguero nicked the vital second goal for Pep Guardiola’s Manchester City but added that he “cannot be happy” with United’s first-half performance. Kevin de Bruyne’s cool finish and Iheanacho’s tap-in after the Belgian hit the post put City in complete control as they outclassed Mourinho’s Manchester United for most of the opening 45 minutes. United were handed a lifeline just before the break when City’s debutant keeper Claudio Bravo summed up his desperately uncertain display by dropping a free-kick to allow Zlatan Ibrahimovic to pull a goal back. They mounted an aerial siege in front of the Stretford End but City held firm to maintain their position at the top of the table, coming closest to scoring when De Bruyne struck an upright from Leroy Sane’s pass.